A full field of 144 players, 106 men and 38 women are competing for South Australia’s premier Amateur Golf Championships, the Golf SA Men’s Amateur Classic and Women’s Rene Erichsen Salver which begins today at the Royal Adelaide Golf Club. 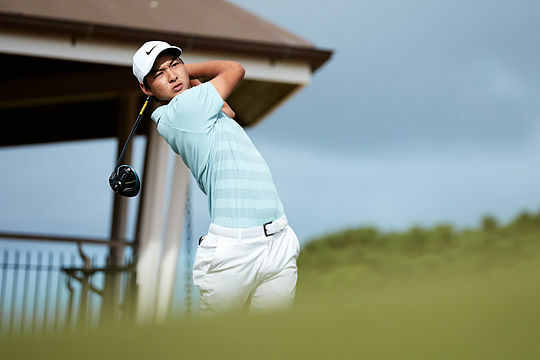 The men’s field of 106 players features seven of the top-10 ranked players on the Golf Australia Order of Merit spearheaded by former US Junior Champion, Min Woo Lee. Lee, who won the United States Junior Championship in 2016 and in 2017 was runner-up at the Australian Amateur, is in great form after making the quarter-finals of the PGA Tour of Australasia’s World Super 6 Perth, which is co-sanctioned by both the Asian and European tours. Other notables include James Grieson, Nathan Barbieri, Jediah Morgan and some of Japan’s national team members, Takumi Kanaya and Ren Yonezawa. Matias Sanchez from Royal Melbourne will be another to watch after a stellar 2017, which included winning the Australian Amateur championship and the Silver Medal as low amateur at the Australian Open. Returning to the majestic Royal Adelaide for a fourth straight year, the SA Classic was first played in 1985 as the SA Invitational and held for 25 years straight at Royal Adelaide until a switch to Glenelg for five years from 2010. The Classic has produced an impressive list of former winners including Brett Ogle (NSW, 1995), Peter O’Malley (NSW, 1996), Stuart Appleby (Vic, 1992), Greg Chalmers (WA, 1994) and Brett Rumford (WA, 1996). The 2018 Rene Erichsen Salver boasts a quality line-up, with six of top-10 ranked players on the Golf Australia Order of Merit competing. The Japanese team will be hard to beat, but 19-year-old Rebecca Kay from Queensland is in fine form after claiming last week’s Riversdale Cup in Melbourne. Kay has form playing at Royal Adelaide winning on the layout twice last year, first claiming the SA Junior Masters in January on the famous sandbelt course, then the Rene Erichsen. Australian number one ranked amateur, Grace Kim, of Sydney’s Avondale Golf Club, the reigning Australian Junior and SA Amateur Champion comes into the event with plenty of playing time, first competing in the Women’s Australian Open in Adelaide, then going undefeated in the Asia-Pacific team’s triumph over Europe in Qatar last week. First played in 1967, the Salver has an impressive list of former winners including 5-time winner Jane Crafter, Anne-Marie Knight, Sarah Kemp and current world number 16, Minjee Lee in 2013.